I’m not about to say that director Antoine Fuqua is a great filmmaker by any means. 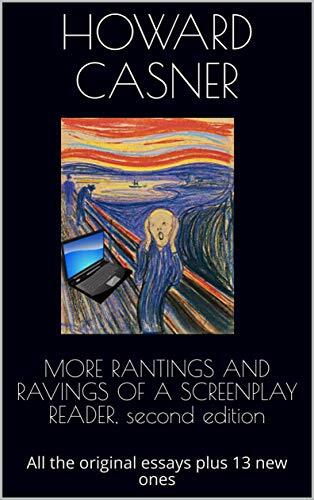 But he is a solid craftsman of pieces of entertainment, perhaps one of the best around today. His films are technically impressive, satisfactorily written and they deliver the goods. And Southpaw is no exception. It’s a movie that doesn’t take you anyplace new (in fact, it takes you to a myriad of places you’ve been before). And when it comes to, say, boxing movies, I don’t think it’s an insult to say he’s no Martin Scorsese (Raging Bull) or John Huston (Fat City). At the same time, I don’t think you’ll be disappointed if all you want to do is spend a couple of hours being amused, diverted and distracted. 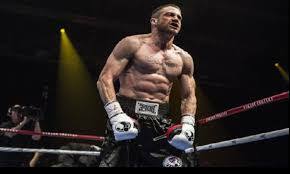 And actually, if truth be told, Southpaw is probably a bit better than that. I do think the main reason for this, as if I have to tell you, is the performance of Jake Gyllenhaal as the lead character Billy Hope (Hope?, really? Okay, sure why not). Striving very hard to be taken seriously as an actor since his Oscar nominated performance in Brokeback Mountain, he has pushed the boundaries of the types of character he plays in movies from Jarhead to Zodiac to his magnificent tour de force last year in the creepy, creepy Nightcrawler. Here he has bulked up and created a cut body with a six pack you could play as a xylophone. And he disappears not just into the body, but into the role as not the brightest fighter on the block, but one with the biggest heart who does finally get the smarts to figure out that he has to take responsibility for his life and find a way to fix his own problems. And he plays the role with the fierce energy of an actor determined to be great, or, if not that, at least get an Oscar nomination (which he probably will). 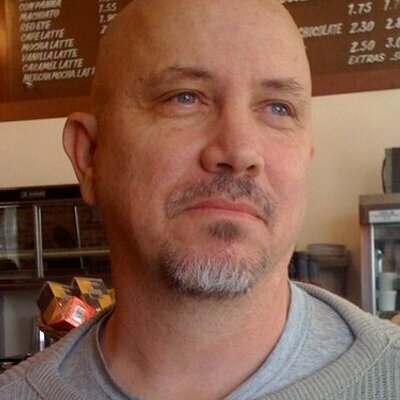 He gets able support from Forest Whitaker in the Mickey Rooney/Burgess Meredith/Morgan Freeman/Nick Nolte/Paul Giamatti/Joe Pesci role as small time trainer Tick Wills. Again, there’s nothing that original about it, but Whitaker more that makes the most of it (and it’s a role where his sleepy eye is finally acknowledged and made part of his character). The screenplay is by Kurt Sutter, who is making a name for himself in creating movies and TV series about tough guys, like Sons of Anarchy and The Shield. As I said, it’s fairly familiar and there are no surprises along the way, but in spite of that, by the time the climactic fight comes along, I did find myself caught up in the situation and shedding a single tear of manly joy at the outcome. However, I did find one plot turn a bit hard to buy. After Billy’s wife is killed (Rachel McAdams, as solid as the movie), the police ask if Billy can tell them what happened because they don’t have any witnesses. But the fight that led up to the death began in a very public forum and I find it almost impossible to believe that once the argument started, every single person who could didn’t take out their phone and start recording, with these videos going immediately viral over social media. I would think the problem isn’t that they don’t have a witness. In reality I would think they’d be having too much of a good thing. But still, if you can get past this, and there’s no reason you shouldn’t, it’s an involving and entertaining journey from Billy’s fall through his slough of despair to his redemption (though I’m not sure that’s the right word; he’s more Job than sinner, but still, I guess it’s as good a way to describe it as any). With 50 Cent excellent as Billy’s treacherous manager and Oona Lawrence giving an empathetic performance as the fighter’s daughter. In the 1998 film Gods and Monsters, director Bill Condon helped create a story with several through lines that revolved around a legendary movie director powering down as he reaches the end of his life, while interacting with a long suffering housekeeper, as well as creating a close relationship with a young man, with the movie being held precariously together by the lead performance. 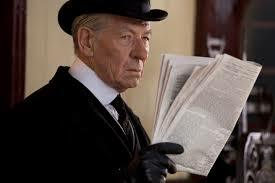 In the 2015 film Mr. Holmes, Condon is back with a story with several through lines that revolve around a legendary fictional character powering down as he reaches the end of his life, while interacting with a long suffering housekeeper, as well as creating a close relationship with a young man (well, boy), with the movie being held precariously together by the lead performance. I’m afraid that it’s not easy to drink from the same well twice as this time round, Condon and the screenwriter Jeffrey Hatcher (whose brand seems to be period pieces like this—he’s credited for such films as The Duchess, Casanova and Stage Beauty) can’t quite pull the movie off. There are several reasons for this, but I think the main one is those several through lines that often hang there like lose threads. While Holmes is trying to finish writing the true story of his last case from years earlier (one that ended tragically, but in the end isn’t a particularly interesting or intriguing case by the time it’s over), he also has memories of a visit to Japan after World War II and his interaction with the son of a politician that Holmes can’t quite remember (the brilliant Sherlock is showing the first signs of Alzheimer’s), while he is interacting with the housekeeper’s son and teaching him beekeeping. Unfortunately, these three plotlines never come close to coming together in a satisfying whole. In fact, I never quite understood what the filmmakers were trying to do or say here. The through lines just seem to run as parallel ones as written now and the movie grows harder and harder to become emotionally involved with as the vaguer and more confusing it becomes. Gods and Monsters also had an unwieldy structure, but it was better able to use the movie Frankenstein and the central character’s part in it (James Whale) to bring all the various puzzle pieces together. It wasn’t quite satisfactory, but it does work much better than Mr. Holmes. If anything does work in this movie, it’s the performance of Ian McKellen in the title role. He sinks into the part as much as Gyllenhaal does in his (and without the six pack) and he is often mesmerizing. He can’t quite carry the movie on his aging back, but what pleasure there is in the movie is due to him. With Laura Linney totally wasted in the Lynn Redgrave role of the housekeeper; Milo Parker of the Margaret Keane eyes as the son (just try to look away from him, he’d be perfect for a remake of Village of the Damned; sorry, I had to say it; he actually has great screen presence and should do well as he grows older); and John Sessions excellent as Mycroft Holmes.